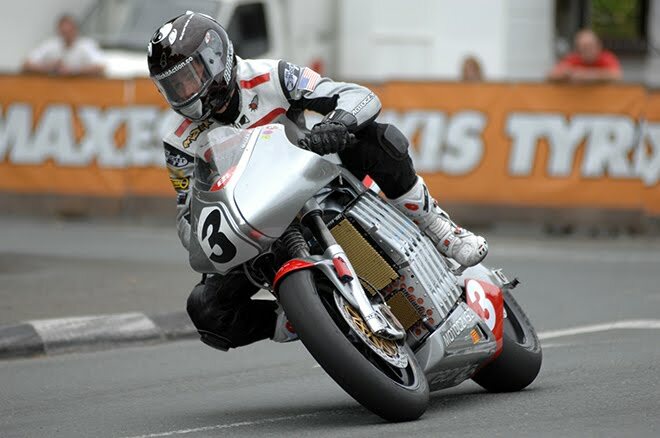 TT Zero, a zero-emissions competition held as part of the Isle of Man TT week, has received a significant boost following the news that Mugen will enter this year's event. Mugen was created in 1973 by Hirotoshi Honda, son of Honda founder Soichiro, and has a long history of involvement in motorsport. The team won four F1 races between 1992 and 2000 working with Jordan, Prost, Lotus and Ligier. They also manufactured engines that won the Formula 3000 championship in 1990 and 1991. The company currently competes in the Japanese GT, and Formula Nippon Championships, and were also recently announced as the engine partner to Honda in their forthcoming WTCC campaign. Mugen, whose TT Zero attempt is seen as the next best thing to an official Honda effort, will enter the 2012 race with an all-new original electric motorcycle. "We are keen to use this excellent event to educate and prepare the engineers of the next generation for the use of future technology,” explained Satoshi Katsumata of Team Mugen. “We are very excited about adding to the long history of Japanese manufacturers on the Isle of Man." Mugen will shortly confirm the identity of its rider ahead of a planned programme of testing in Japan and the UK. The TT Zero Race takes place over one lap in a time trial format and is restricted to entrants using motorcycles with zero-emission engines that emit no CO2. The Isle of Man Government has offered a £10,000 prize for the first team to break an average speed of 100 mph around the legendary 37.75 mile Mountain Course. Last year's race, the second for the TT Zero class, was won by BSB star Michael Rutter (MotoCzysz) at an average speed of 99.604 mph.